We have a wide variety of double side polyester and foam tapes which find a wide variety of applications. We offer high quality Double Sided Polyester Film Tape known in the market as BC Fix Polyester Tape. With polyester film as the carrier. We coat acrylic PSA on either side. The initial tack and sheer strength can be altered depending on the application. 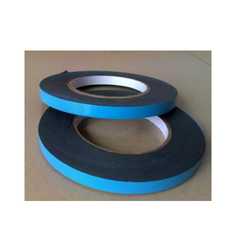 We provide Double Sided PU Tape prepared using raw materials selected using strict quality control measures. Our range finds application in general purpose bonding. This Product is know as BC Fix Foam Tape. 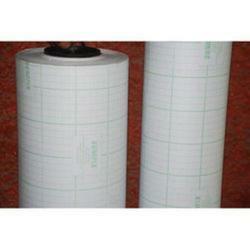 It features various kinds of thickness and length, as per our customers requirements. Note: We can provide any quantity whether it's a small or big quantity. Owing to our wide experience, we offer our clients Close Cell Foam Tape-Double Sided which is manufactured from premium quality material. Further our range finds application in general purpose bonding applications. It features a thickness of 2/4/6/8 mic and a width and length of 6mm to 630 mm.and 1 mtr/6 mtrs/12 mtrs respectively. 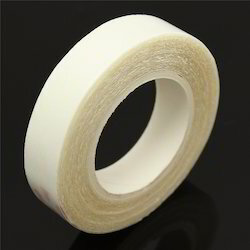 This product is known well known as BC Fix Foam Tape in the market. Acrylic Solvent Based/Rubber based Adhesive. Looking for Double Side Tape ?